Precipice came with a really pathetic galley. You couln't stand in front of the sink or the stove. A better place for the diesel heater I thought. Still, it is always a little unsettling to take a sawsall to something that is presently working, no matter how poorly. 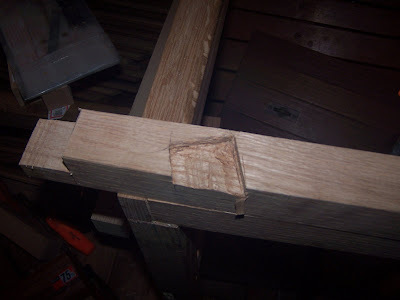 This little project seemed from the outset to be a simple task. It ended up taking a good part of the winter in stops and starts. 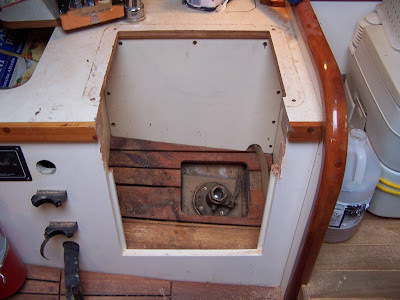 I ended up running two separate fuel supplies to the heater, one gravity and one pumped so that the heater will work no matter what direction the boat is heeled. The carbeurator had to be repaced, and so did the water heating coil. In the end though, the heater was blessed more than the pope on those cold days working on the galley. 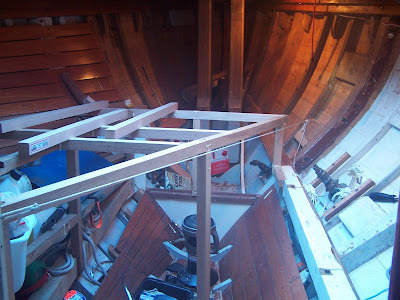 Last winter I ripped out most of the interior of our boat and put enough of it back together for the summer so that we could sail. 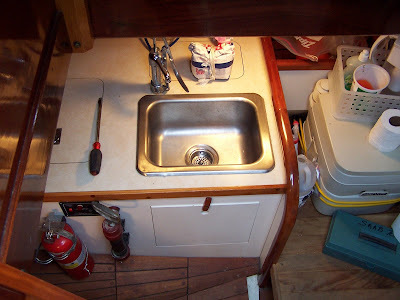 This winter I have been putting in a double bunk up front, finishing the galley, and re-rigging the vessel. This winter was cold. 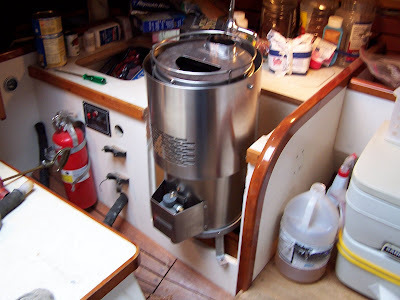 One of the most important things I did this winter was install a diesel heater. The heater worked great until the temperature got below 10 degrees (12c) and the diesel fuel turned into a nice jelly. Then it wasn't so fun. 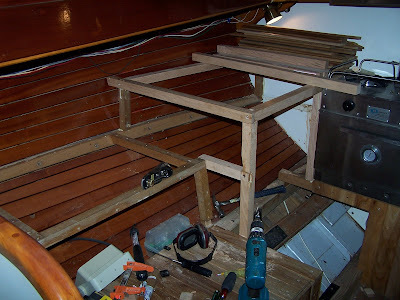 Progress has been made though, and the boat should be ready in time.